TORONTO, ON – Beer Academy has announced the return of a popular summer seasonal beer for its second annual release. Our modern take on the classic Hefeweizen captures the elegant banana and bubblegum character of a traditional German Wheat Beer, then adds clean and refreshing hop character from start to finish. Gentle dry hopping provides soft orange and tropical aromas, creating a balance of juicy fruit flavours and brisk hop sensations. 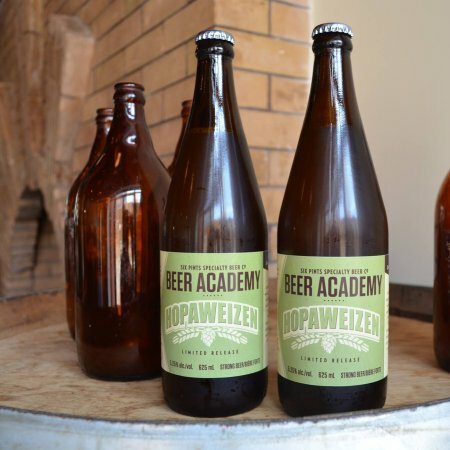 Hopaweizen is available now in the Beer Academy tasting room and retail store, with draught glasses and samples being served at the bar, and bottles and growlers for take-home sales.